UK-based DMC representation firm Destinations Unlimited is targeting the US and Canada after forming a partnership with MacTisell World Partners (MWP). The tie-up, which is being announced officially at Imex America, will see MWP head Ursula MacTisell represent Destinations Unlimited in North America. 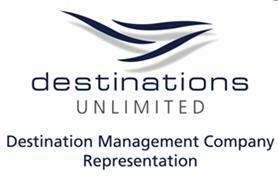 Nikki Mitchell, managing partner at Destinations Unlimited, said: "Ursula is now based in Florida and has been instrumental and widely respected by the US and Canadian markets for over 30 years while she was a DMC in Portugal. "We therefore felt that this appointment would be an excellent way in which to take the company forward, especially considering Ursula’s expertise within the USA C&I Markets and her in-depth knowledge of the industry in general. "Although we do have a number of US-based agencies on our database, there is of course no substitute for a locally based company promoting and representing the interests of its portfolio of DMCs." MacTisell added: "This exciting new partnership will officially be launched during IMEX America. I am really keen on further increasing awareness of the Destinations Unlimited brand and I am very much looking forward to working with Nikki and her team."